I live in Kaktovik on the North coast of Alaska, and I run a tour business with my son, Martin Apayauq and Vebjorn Aishana. We take out people boat to photograph polar bears. I ran the Finnmark Race in Norway the first time in 1986. 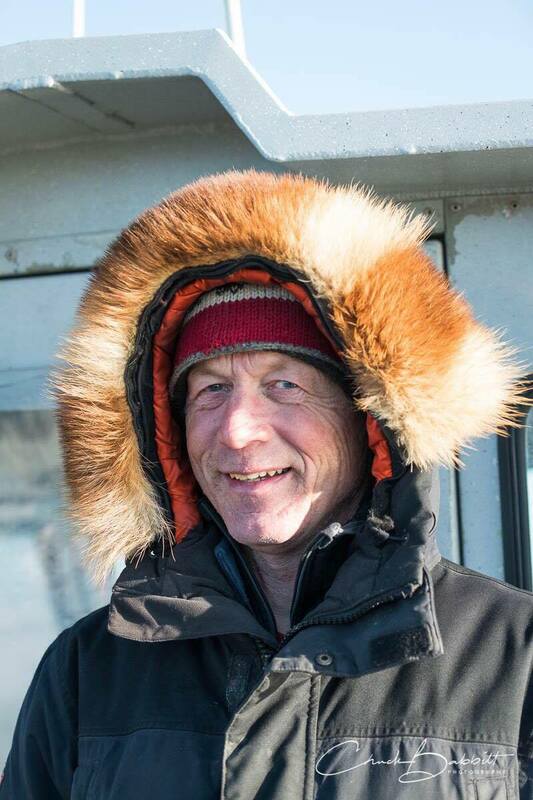 I am have finished the 5 longest races in the world: The Iditarod 4 times 1991-94, Yukon Quest 1989, the Hope Race from Nome to Anadyr, Chukotka, in 1991, La Grande Odyssee in the Alps, the Finnmark Race. My best finish is 10th place in Iditarod in 1992, with nickname the Hope from the Slope. I trained my dog team along the windswept Arctic Ocean and in the Brook Range and Arctic National Wildlife Refuge. I also used to dog team for hunting for caribou and dall sheep. And I was member of my father in law’s whaling crew for 6 years. I was also the leading dog musher in the Amundsen team in BBC and History Channels reconstruction of the race to the South Pole between Roald Amundsen and Robert Scott. We traveled the same distance, over 1300miles using the same equipment, food and clothing, as Amundsen did in 1911. I want to pass on what I have learned about dog mushing and their Inupiat heritage to my sons. This will be the fourth time one of my sons and I make a journey from Nome back home to Kaktovik along the Arctic coast.